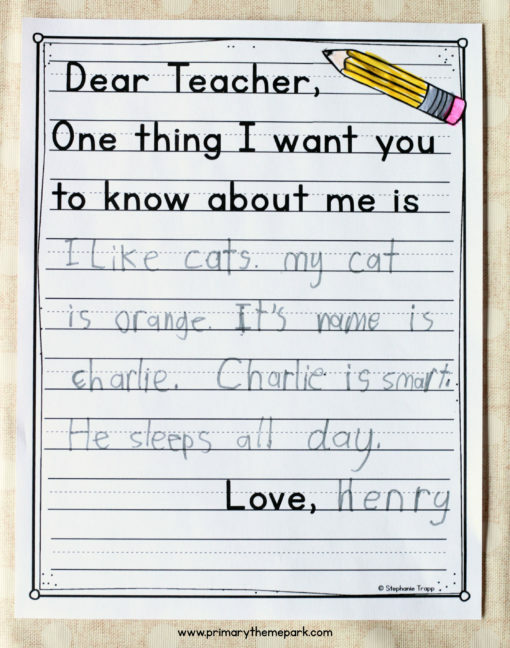 A great way to get to know your students at the beginning of the year is through their writing. 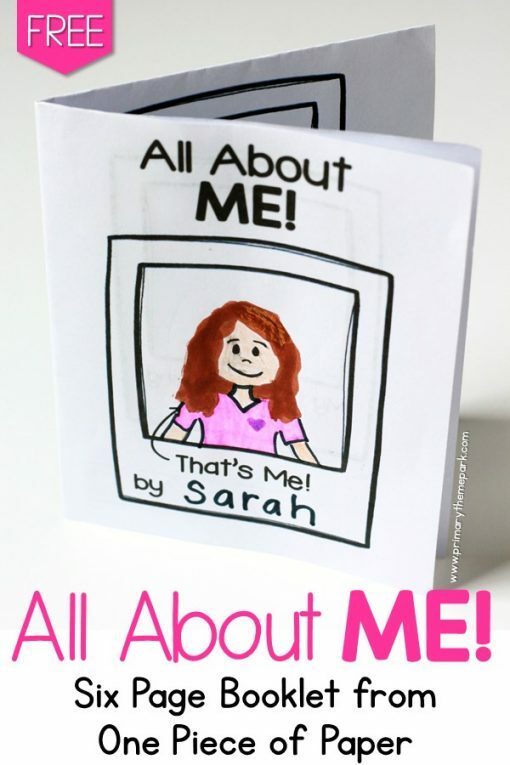 An “All About Me” book gives them an opportunity to share important things about themselves. 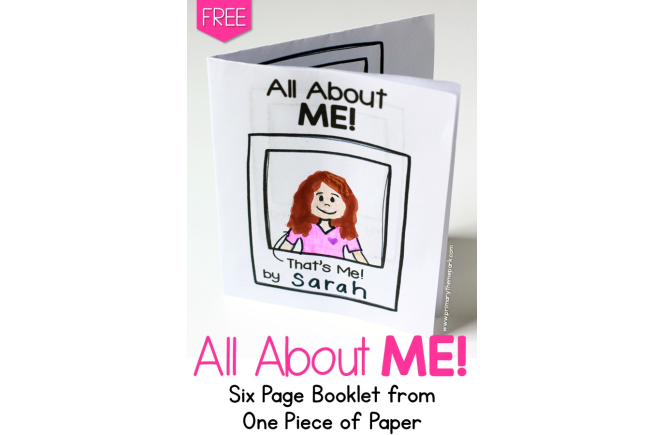 Here’s a simple All About Me Free Printable that only takes one sheet of paper! Set aside some time each day during the first days or weeks of school and allow a few students at a time to share their book with the class. This is a great activity to include in your morning meeting or at the end of the day. It’s important for your students to learn about you, too! Make a book yourself and share it with them so they get to know you. Print the booklet templates front to back. Make sure the picture frames on the back print out on the left side of the paper as shown in the picture. 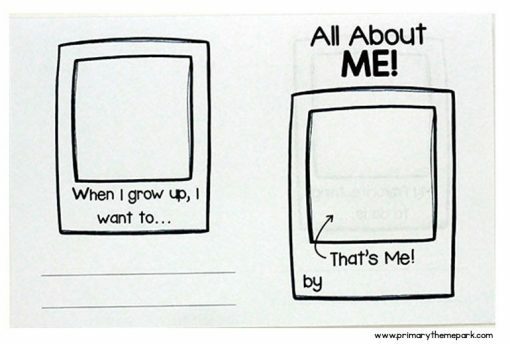 They should be behind the “All About Me” and “I’m really interested in…” frames. Open the paper back up. Then fold it in half vertically. Unfold the paper again. The creases section the paper into fourths. 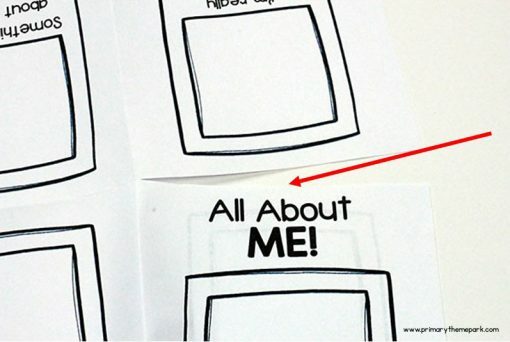 Cut along the creased horizontal line on the right-hand side above “All About Me.” STOP CUTTING AT THE CENTER. 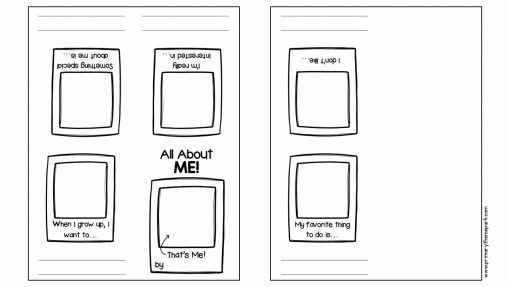 Fold the paper in half horizontally again so that “All About Me” is on the front. 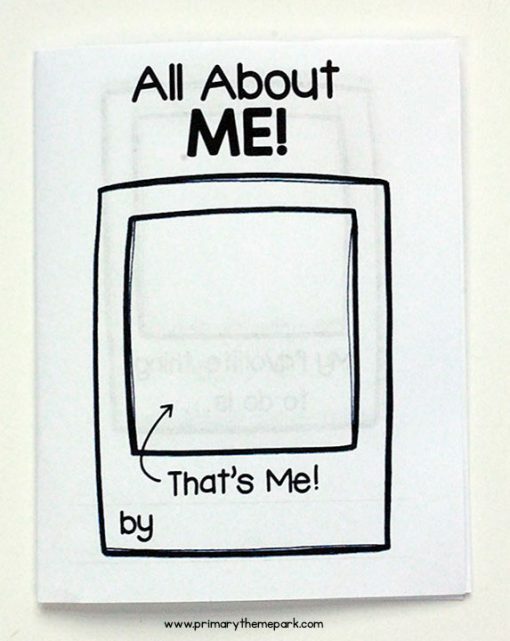 Fold this half sheet of paper in half vertically so that “All About Me” is on the front. The finished booklet size is ¼ of a piece of printer paper. Kids are curious and they’re probably curious about you! Build a great rapport with them by letting them ask you questions about yourself. 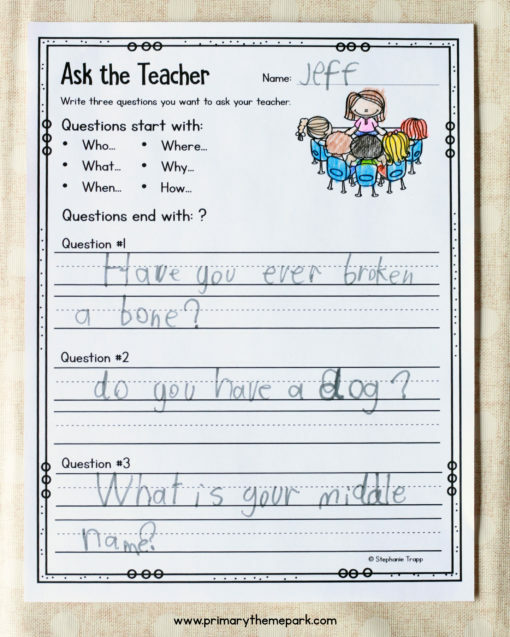 Allow each student to ask you three questions. You might have them write them down. 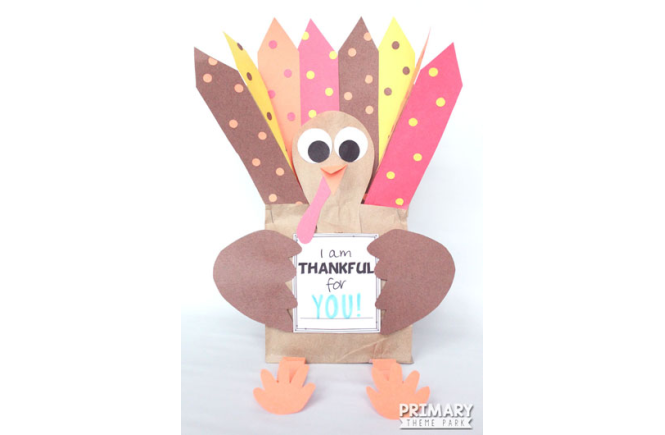 This activity makes a great mini-lesson on complete sentences or interrogative sentences. Then, throughout the first week or month of school, take time to share your answers with your class. They’ll love learning about you! 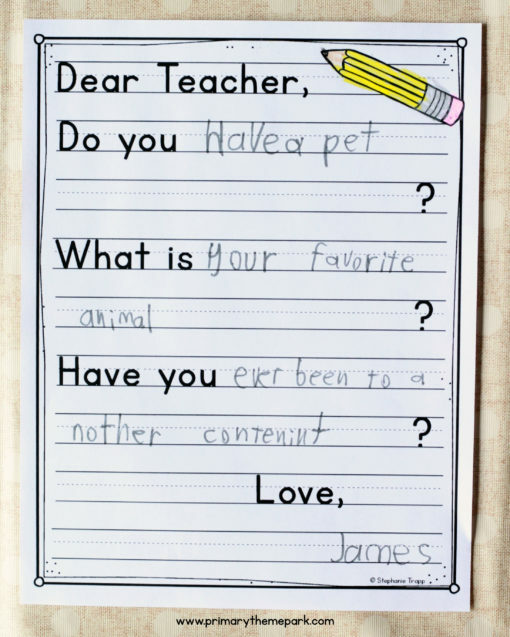 Provide students with the chance to tell you what one thing they want you to know about them. You’ll be surprised just how insightful their answers can be! Again, be sure to answer the question yourself. What is one thing you want your students to know about you? This amazing list includes over 200 “Would You Rather…?” questions specifically for kids. Use them as journal writing prompts or ask them when you need a time filler. Want a super quiet line outside the restroom or lunchroom while you’re waiting for everyone to finish? Ask a “Would You Rather…?” question and allow one student at a time to quietly share their answer! 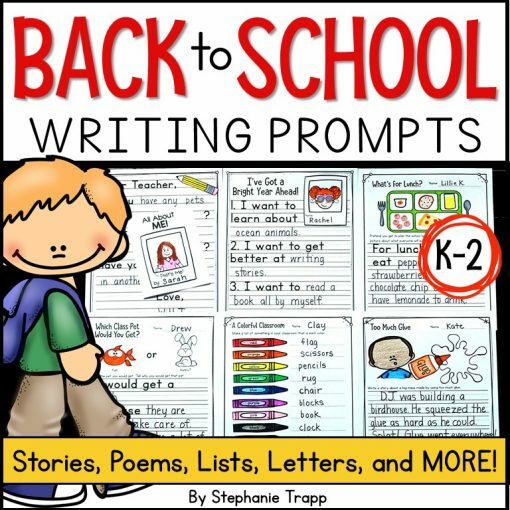 Start your school year off on the “write” foot with more back to school writing prompts and activities! 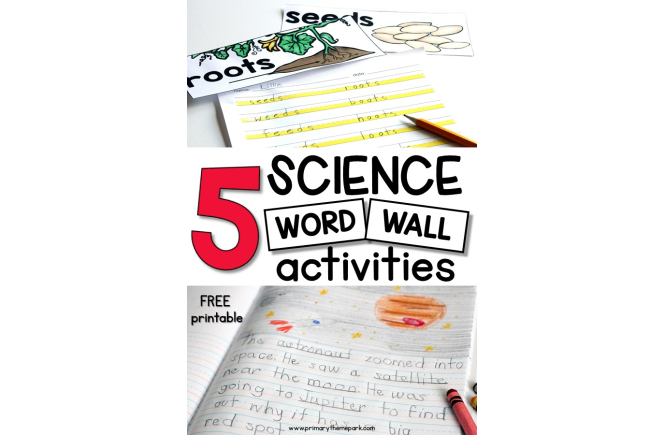 Over 30 prompts cover a variety of types of writing such as stories, lists, letters, how-to, poems, and more. 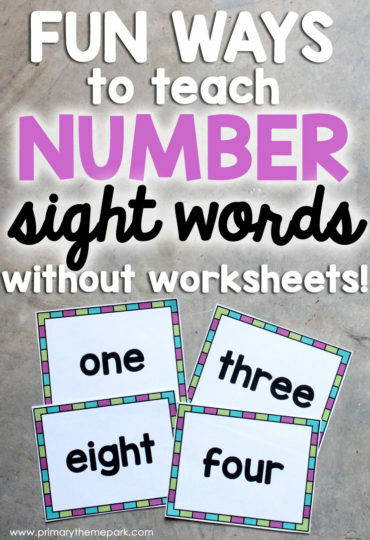 They’re perfect for writing instruction, centers, morning work, early finishers, or just for fun. Learn more about them here!